A week after the Six-Day War in 1967 in which Israel defeated neighbouring states and tripled the area under its control a group of Kibbutzniks led by Amos Oz recorded conversations with soldiers returning from the front. These testimonies reveal ordinary men who were guilt-ridden at the horrors inflicted on Arab civilians. 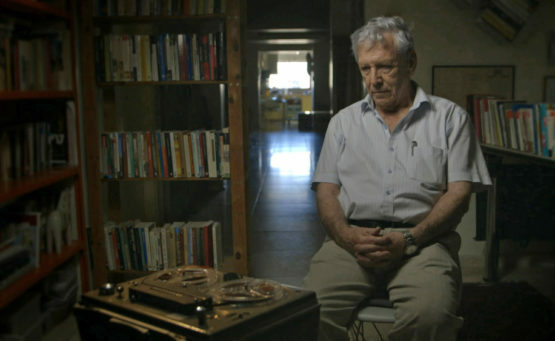 Most of the recordings were buried by the IDF to silence doubts about the legitimacy of the war. Determined to shed a different light documentarian Mor Loushy gained access to the recordings which she interweaves with rarely seen footage of the conflict. Even 50 years on the voices are both devastating and topical. And this film shouts out to be seen and heard.